The Old Red Lake Trading Post Begins Its Second Century - Along "The Rainbow Trail"
In the book, Shefford soon meets Presbrey, the fictional trader who owns and runs the Red Lake Trading Post. Almost inadvertently, Shefford saves a young Navajo woman from an attack by a missionary who is visiting the store. 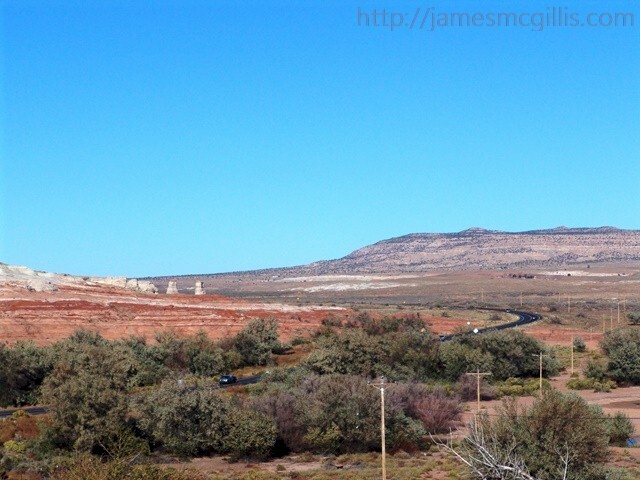 From there, Shefford and the Indian woman travel separately toward Kayenta. 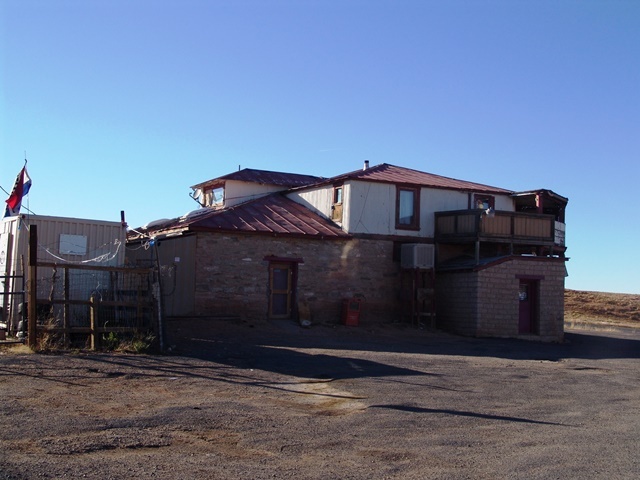 Grey’s description of Kayenta indicates that it was then another trading post consisting of two buildings and a corral. To discover what happened next, along "The Rainbow Trail", one must read the novel. In October 2013, as I approached Tonalea from the north, along U.S. Highway 160, I knew none of Grey’s story. Although I had often seen the dark and foreboding structure described by Zane Grey, I had no idea that its history stretched back more than one hundred years. 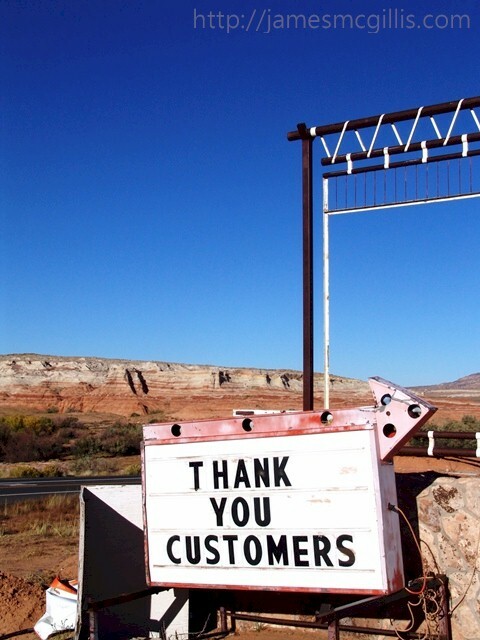 I saw it as a somewhat forlorn convenience store, frequented by local Navajo residents and by tourists intrepid enough to enter the dark structure. Having never stopped there before, I resolved that day to do so. The reason for my stop was to photograph the elusive Red Lake, which supposedly lay downhill from the old trading post and general store. While researching an earlier story about Cow Springs, a few miles north, I had found a Google satellite image of Red Lake. With its copyright date of 2013, I assumed that the map accurately depicted Red Lake, which appeared to be nothing more than a dry meadow to the east of the old trading post. The only difference in my visit to Red Lake was the time of day and the passage of one hundred years. 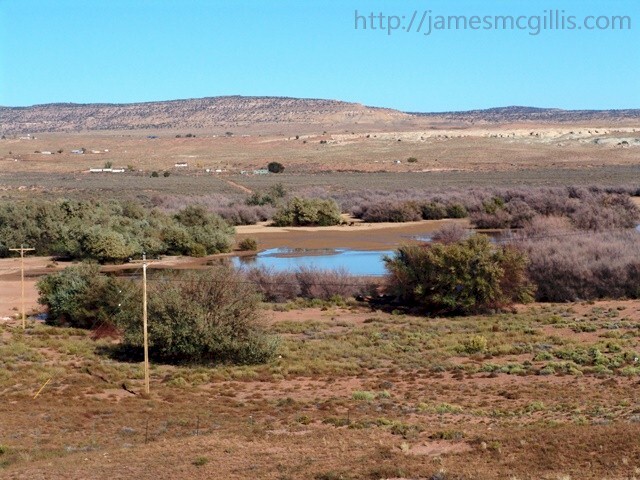 As before, the shallow pool, rimmed by a wide swath of wet sand shone in reflected light. With my travel trailer in tow, a trip to the far pool was out of the question. Although Indian Route 21 took off from the highway on the south side of the building, I knew that turn-around spots were rare on such routes. Instead, I contented myself with a few telephoto images of the far-flung, shimmering pool. After taking pictures of the lake, I had a decision to make. Should I enter the dark and foreboding building or travel on to Flagstaff, where I planned to spend the night? With the sun sinking low and no fellow visitors in sight, I decided to travel on. As I swung my rig around the back of the building, I hoped to find an exit there. Although the way was not easy, there was an exit loop around the back. Before departing, I marveled at the huge water tank ensconced behind the building. 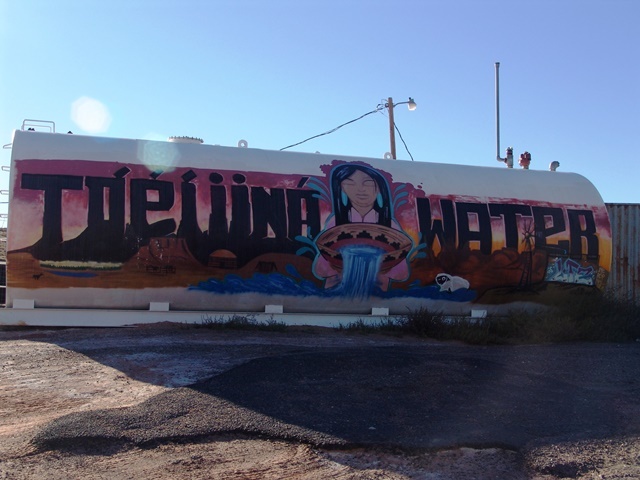 It featured a Navajo language inscription and a Navajo maiden, with water flowing from her basket. Seeing the huge supply tank, I realized that Tonalea and the old Red Lake Trading Post were to this day a “place where the waters gathered”. After taking a deep breath, I drove down a rock-strewn slope, with my travel trailer bumping slowly along behind. 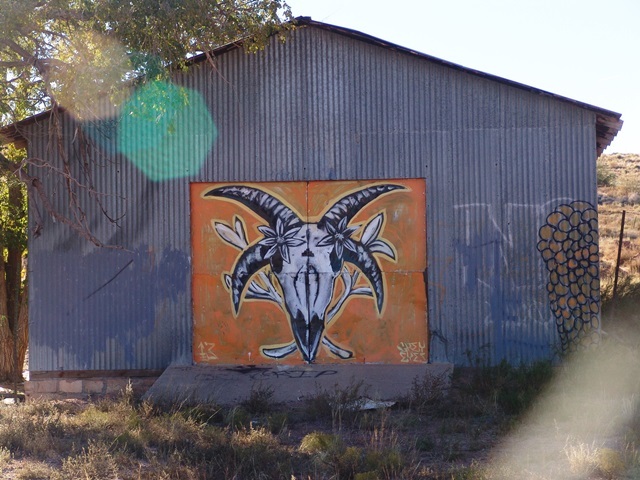 Turning back on to Indian Route 21, I spotted some street art on the door of an old metal garage. Although I could not discern what deity or devil the artwork represented, the panels that held the painting seemed to reflect each other from left to right. Upon further study, I realized that my impression of a mirror image was incorrect. Some details on the left side of the painting were different on the right. Since I did not go inside the ancient building that day, I cannot describe it here. On my next trip along the “The Rainbow Trail”, I will stop at the Red Lake general store and see for myself. Meanwhile, wouldn't it be nice for the State of Arizona to honor a business that has operated continuously there for more than a century?